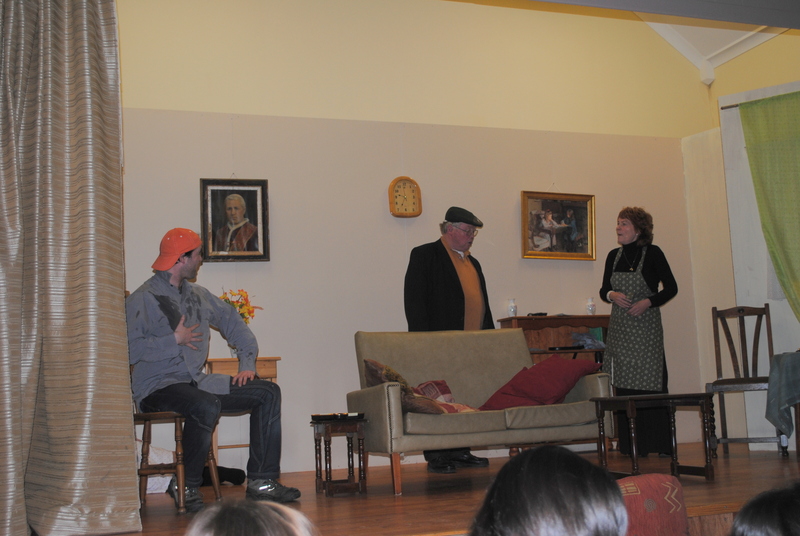 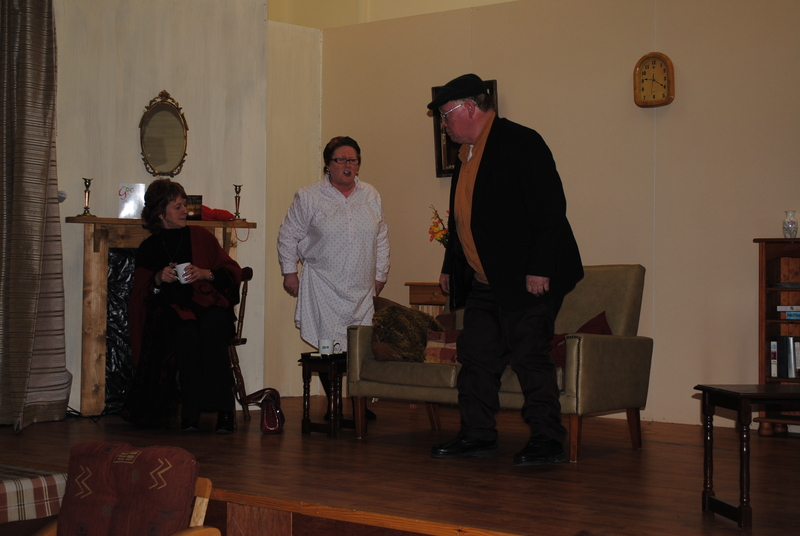 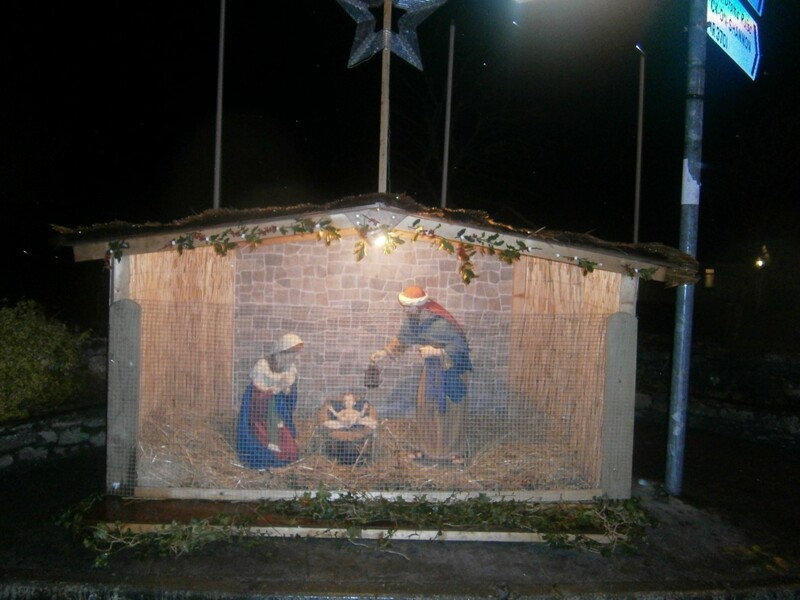 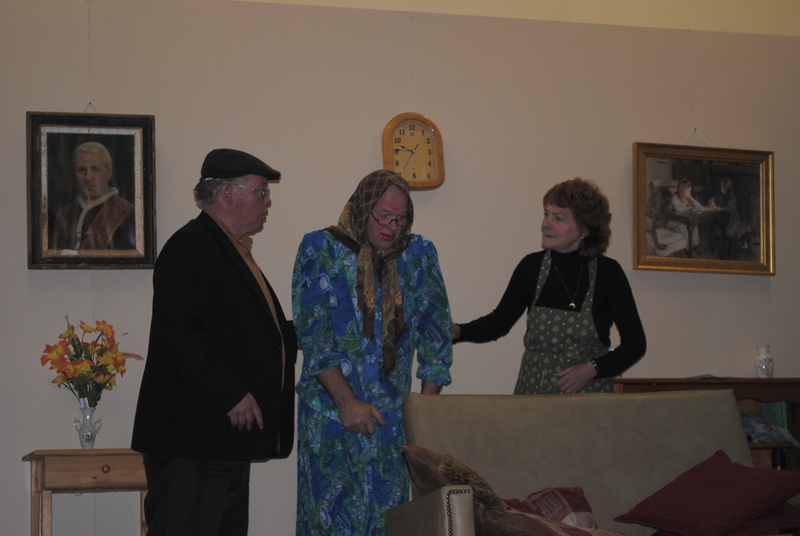 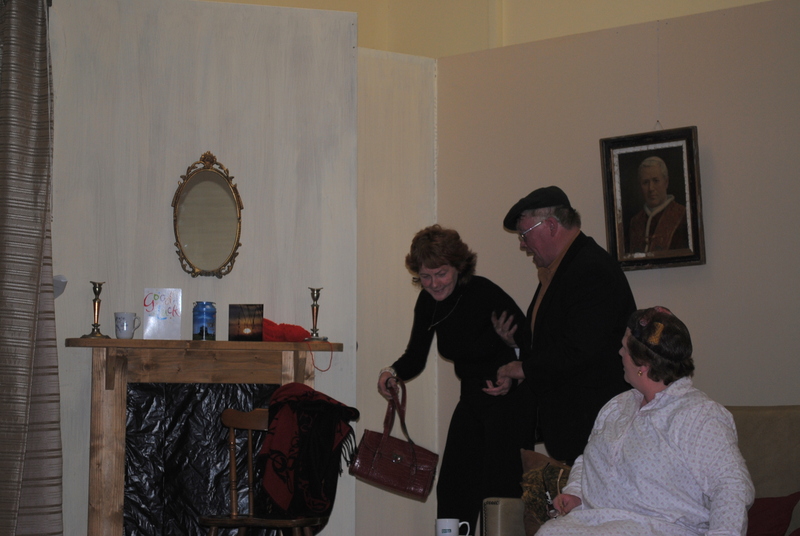 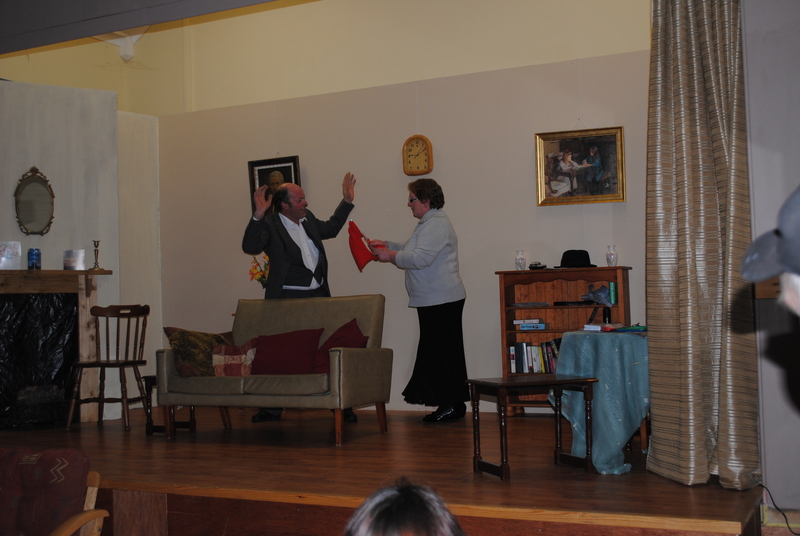 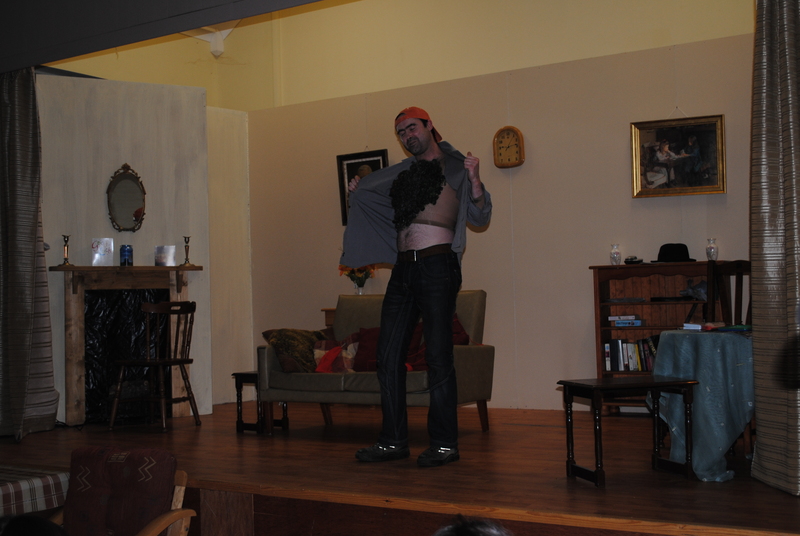 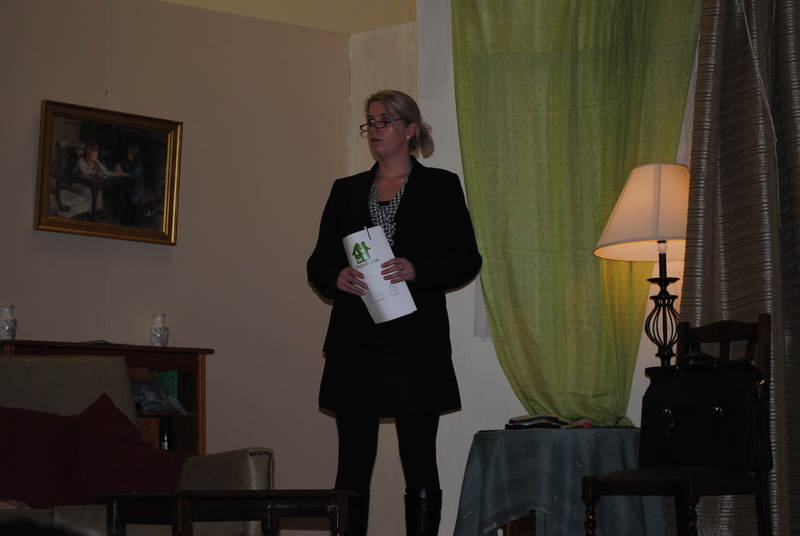 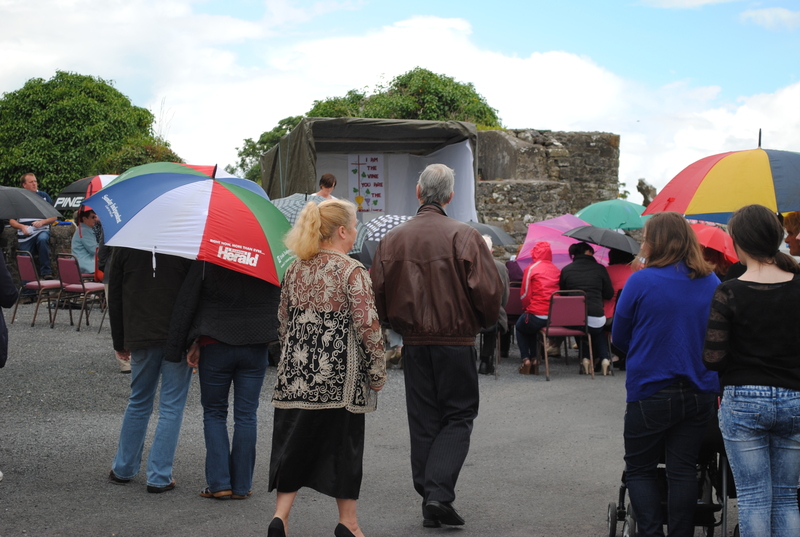 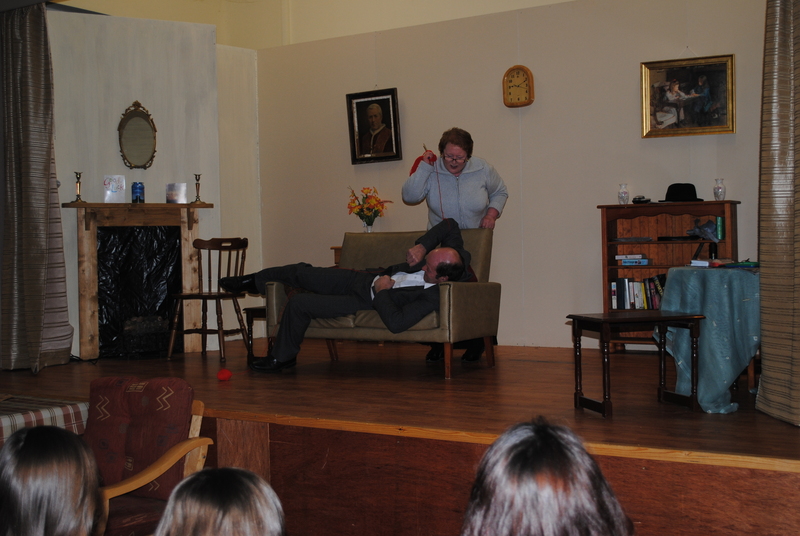 Well, the long awaited play has been performed and well received on two packed nights in the local hall. 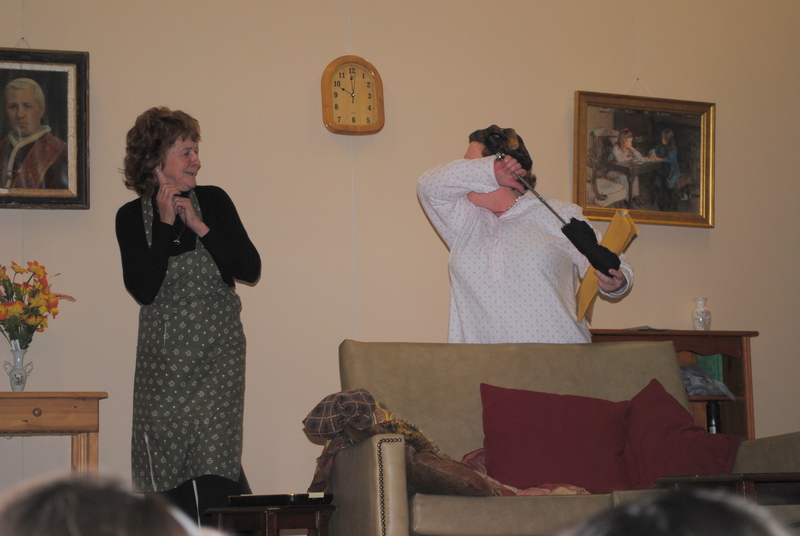 I have not heard so much laughter in a long time, it was an absolute tonic. 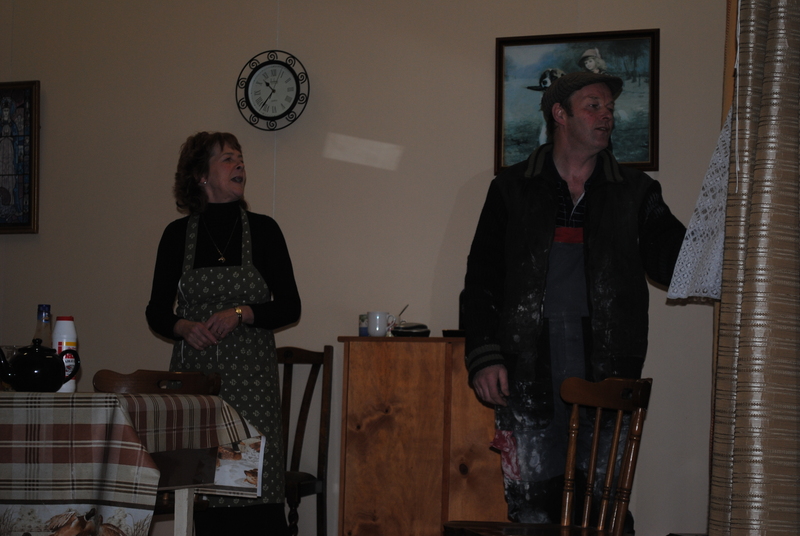 Thank you very much to our audiences on both nights who supported us it was greatly appreciated and we wont know what to do with our time now. 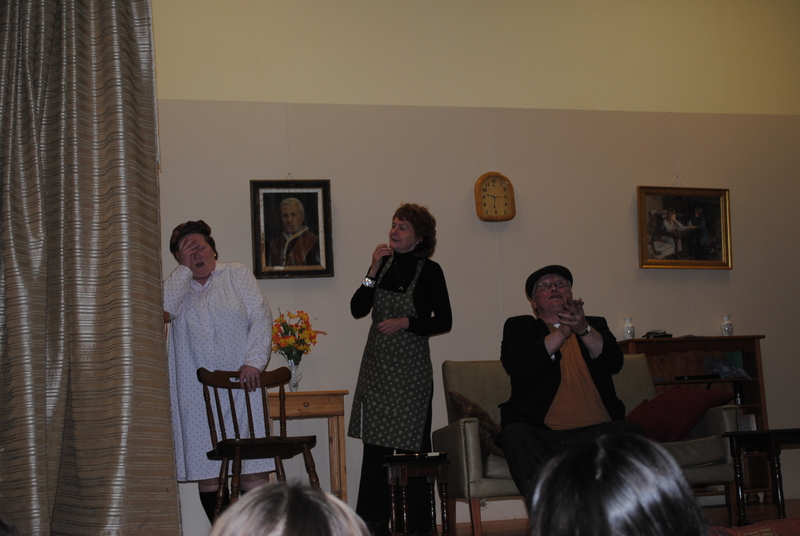 Thanks also to a brilliant cast who did a wonderful job. 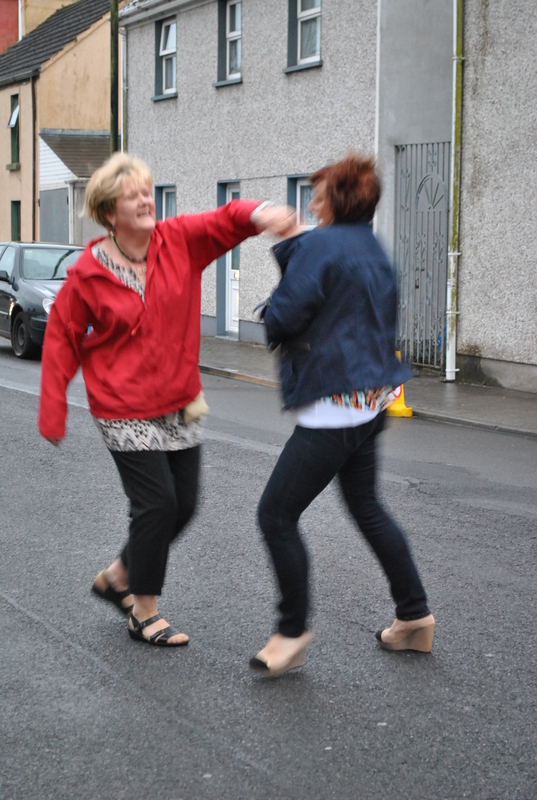 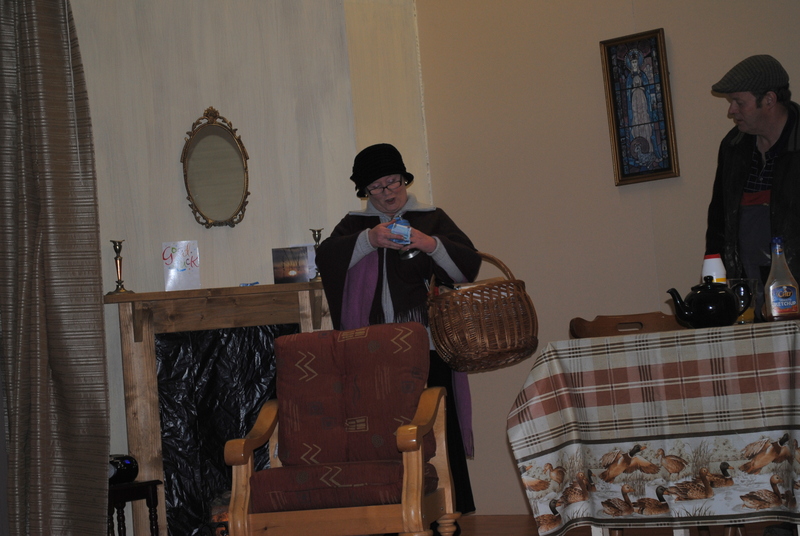 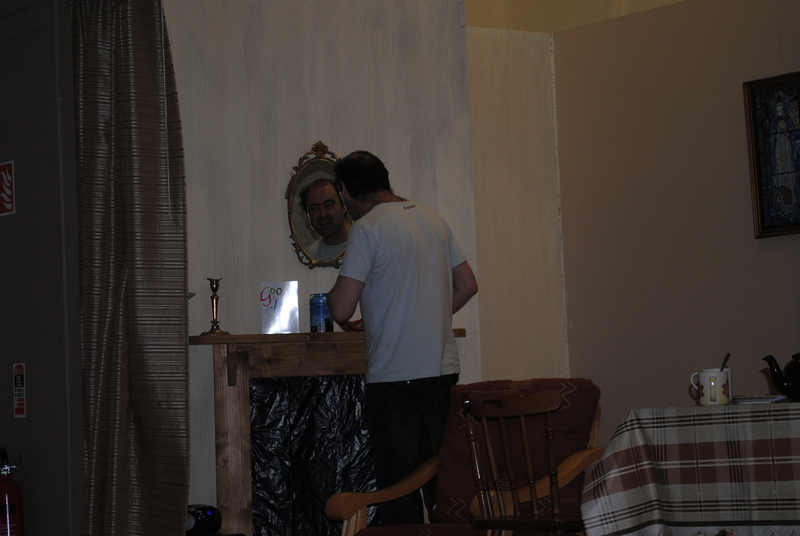 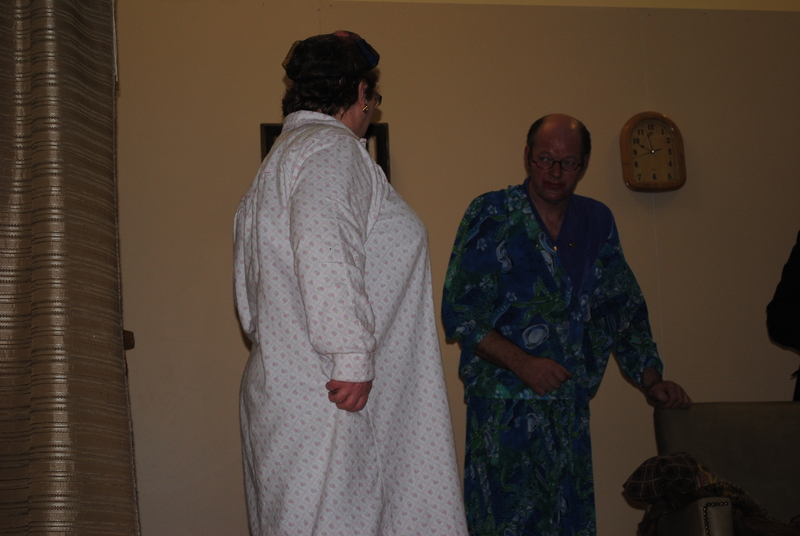 Rehearsals are ongoing for the Play the Maiden Aunt. 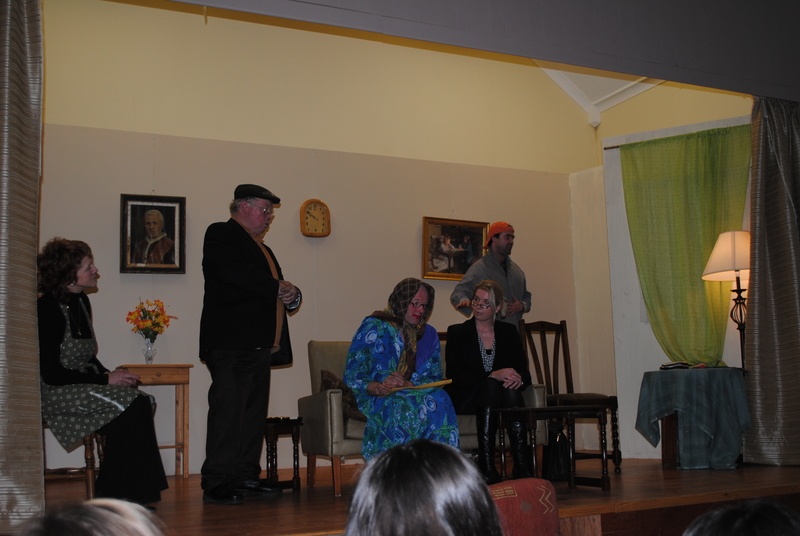 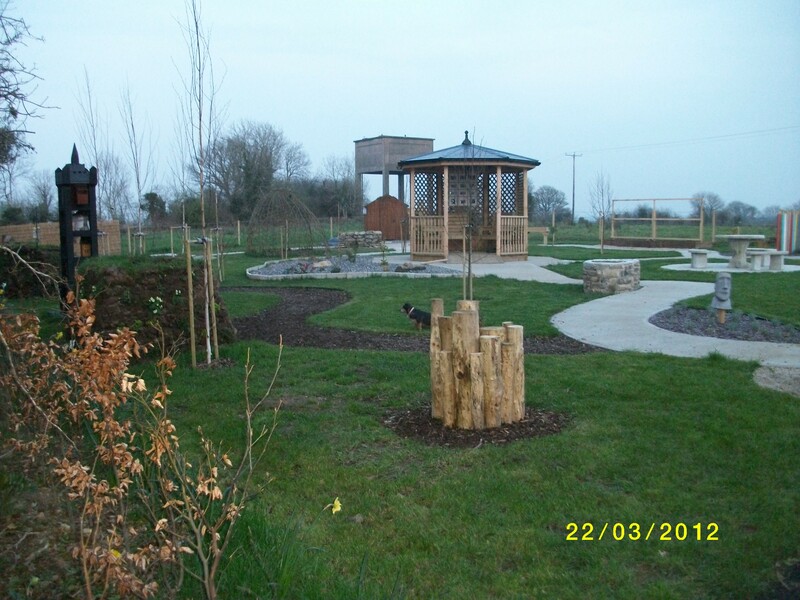 Eight local people, some seasoned actors and some new recruits make up the cast. 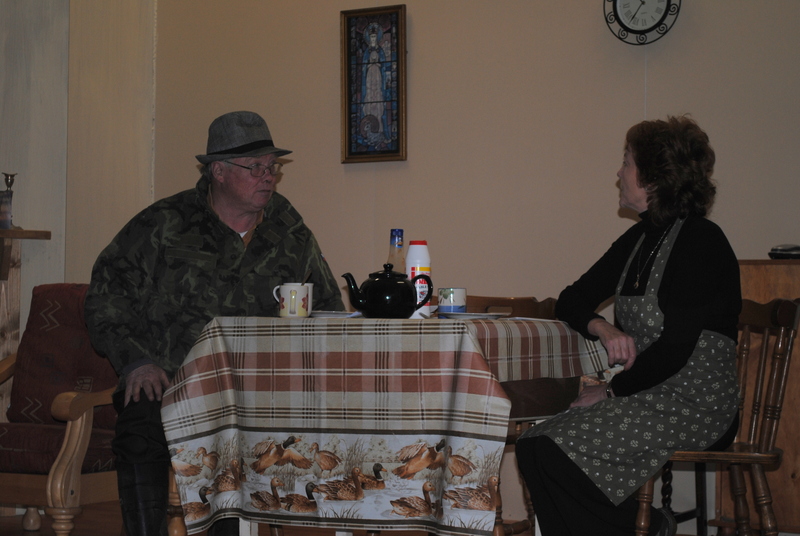 Progress is good and we are thoroughly enjoying this side splittingly funny play by Jim Keary and hopefully will be ready for the stage early December all things keeping to plan.